Lalaloopsy Super Silly Party Large Doll Lowest Price! Home / Deals / Online Deals / Amazon Deals / Lalaloopsy Super Silly Party Large Doll Lowest Price! 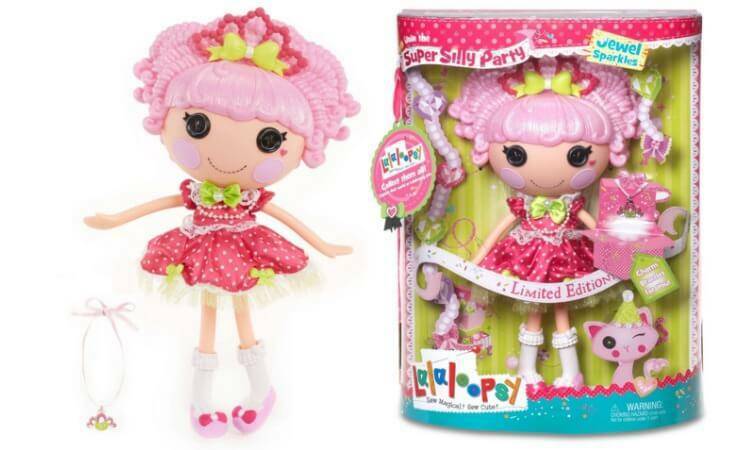 HURRY and get a Lalaloopsy Super Silly Party Large Doll In Stock for the lowest price I have seen!It is just $12.70 and normally $25, so snag the Lalaloopsy Super Silly Party Large Doll now! Plus, don’t forget to checkout the Amazon Deals Page for all the latest Amazon Deals! You can also get a great price on the Barbie Airbrush Designer right now! Junior’s Peacoats only $12.25 + Free Pick Up!